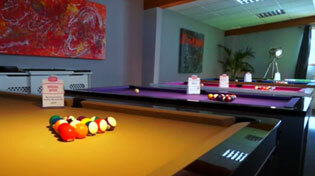 We offer a range of pool table benches, in a number of finishes, for 6ft or 7ft pool dining tables. Pool table benches are one of our specialities at Home Leisure Direct, and we offer a choice of benches intended for either home or public use. Whether it be for a office canteen, club, youth club, golf club or a pub, these benches will suit your needs. Visit our Pool Table Showroom to look at a superb collection of pool table benches and get some first hand advice on the right one for you. Our friendly staff are always on-hand to point you in the right direction for your perfect pool table. Choosing the accompaniments for your pool table is almost as important as the table itself, so we understand that you'll want to make the most informed decision possible. If you have any questions about any of the pool table benches we sell, or about any of our other products, please give us a call on 0800 622 6464 or 01454 413636 and one of our friendly expert advisors will be happy to help you.